Manchester City players have turned against ex-Arsenal midfielder Samir Nasri by expressing their wishes for his departure from the club, and have also questioned the club about his involvement in their pre-season tour of America, reports The Daily Mail. The former Arsenal man had been a frequent spectator at the Etihad Stadium following a £27 million move to the Mancunian side, while being allotted very little game time during that period. 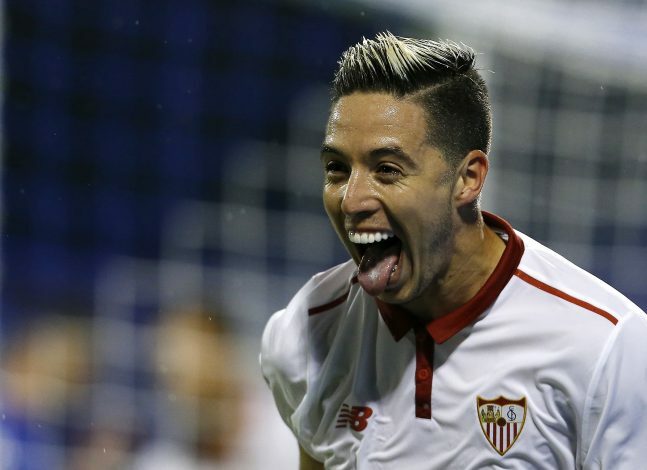 Nasri was then sent to Sevilla on a season-long loan back in August of 2016. Although his spell in La Liga wasn’t impressive, making just 30 appearances for the Spanish side, the Frenchman has returned back to his parent club, and he even managed to make a substitute appearance during the Manchester Derby in Houston last week. Meanwhile, the rest of the City squad are not particularly fond of Nasri’s attitude and the mood he brings to the group. They are said to be left wondering how the midfielder got added to the US tour roster in the first place. Nasri is seemingly not a part of boss Pep Guardiola’s plan for the club’s future, and the Spaniard has been looking to offload the 30-year-old for a good deal of time. However, City’s attempts have been complicated by the former Gunner’s allegations of breaching the doping rules while on loan at Sevilla last season. The playmaker has been the subject of a UEFA investigation into the matter, after being spotted visiting the Drip Doctors clinic in Los Angeles in December. Nasri is currently contracted with the Premier League giants till 2019 on a £120,000-a-week deal, and is continuing his training in Los Angeles alongside the rest of Guardiola’s men for the upcoming pre-season match against Real Madrid.